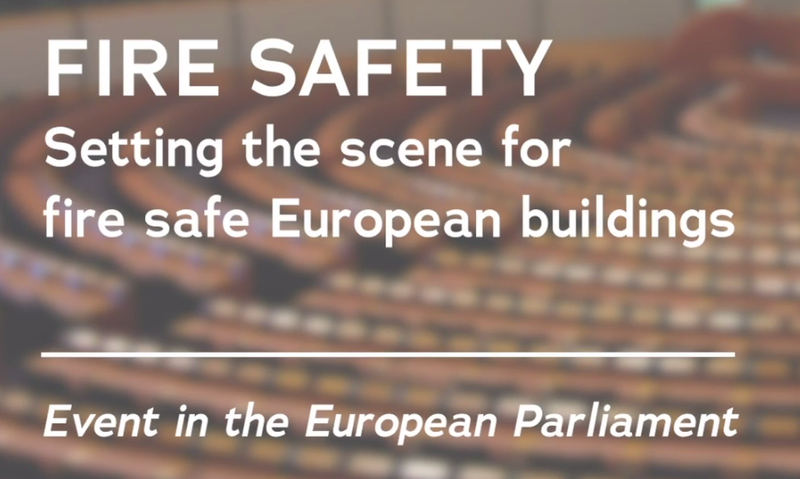 On the 28th of November 2018, the Modern Building Alliance and the European Fire Safety Alliance (EuroFSA) organised a roundtable event in the European Parliament entiteld ‘Fire safety, setting the scene for fire safe European buildings’. The event was supported bij MEPs Bendt Bendtsen and Theresa Griffin, who both acknowledged the need for better harmonised data collection, knowledge-sharing between countries to achieve better fire safety in Europe. The event was a timely opportunity to take stock of the several initiatives put forward in the EU over the past year and to gather all the relevant stakeholders in one room to discus show fire safety can be improved. During the event, the European Commission and the European Parliament reasserted their support for improving Fire Safety in Europe and recalled the most recent EU actions on this issue, such as the Fire Information Exchange Platform and the pilot project in the EU 2019 budget.